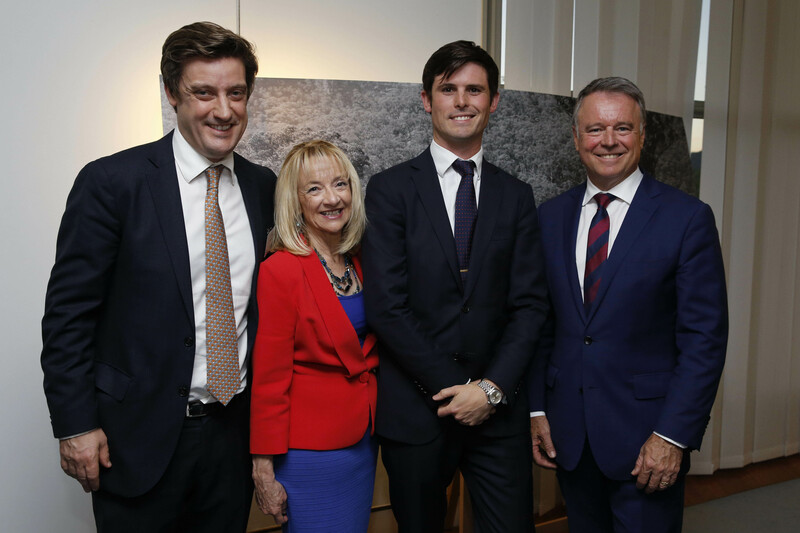 Thoroughbred breeding plays a vital role in the rural economy and Australian society: that was the message echoed by Federal Government ministers and senior politicians at an event in Canberra last night. 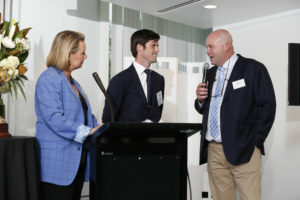 Defence Minister Marise Payne and Leader of the Opposition Bill Shorten traded stories of their interest in breeding and racing, while training identities James Cummings and Peter Moody spoke of how the broad Thoroughbred industry had shaped their life. 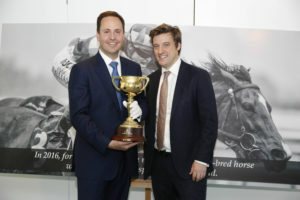 “We held our first Thoroughbred Breeders Australia event in Canberra last year and got a great turnout, but tonight surpassed our expectations,” said Thoroughbred Breeders Australia (TBA) chief executive, Tom Reilly. 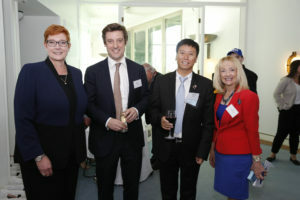 Defence Minister Payne, who herself has an avid interest in racing and breeding, said the TBA forum was “a really important event on the parliamentary calendar” and politicians thanked breeders for their event. “Thank you for what you contribute to the economy in Australia. Thank you for what you contribute, because your industry is a vital one to Australia,” Minister Payne said. Breeders representing every state in Australia were in attendance including Tom Magnier of Coolmore Stud, Antony Thompson of Widden Stud, Ron Gilbert of Highgrove Stud, Chris Watson of Mill Park, as well as Mark Webster of Inglis and Vin Cox and Barry Bowditch of Magic Millions. Significant foreign investors Zhang Yuesheng of YuLong Park, China, and the head of Aquis Farm, Justin Fung, were also part of the breeding delegation. Bill Shorten told how he had worked on behalf of jockeys as a union rep, and that he now lived within walking distance of both Moonee Valley and Flemington racecourses. “Racing has events that create great interest and put us on the map, especially in Melbourne during spring. 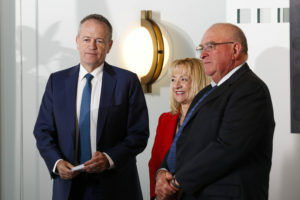 But without breeding, without the hard work that goes on at farms across Australia we don’t have those races which are such a part of Australian society,” said Mr Shorten. “Rest assured, we (Labor) are very interested in the industry. We are very interested in what we can do for you,” he added. Politicians who attended the event included Trade Minister Steve Ciobo, Veterans Affairs Minister Dan Tehan, Shadow Minister for Transport and Infrastucture Anthony Albanese and Small Business Minister Michael McCormack among others. 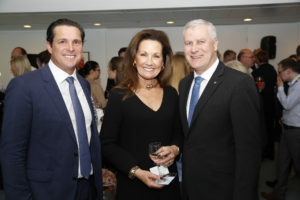 Government Chief Whip Nola Marino, a co-convener of the Parliamentary Friends of Primary Producers, which hosted the event with TBA, also breeds and races horses in her electorate of Forrest, south of Perth. “What an extraordinary job the breeding industry does in rural and regional Australia. It underpins, like so many agricultural industries do, so much of our regional economies,” Mrs Marino said. Hunter MP Joel Fitzgibbon, Shadow Agriculture Minister and also a co-convener of the Parliamentary Friends of Primary Producers, emphasised the importance of the industry to local towns and regions. “This event is a great opportunity to give parliamentarians a fuller appreciation of the breeding industry. The sector is a very, very important part of the agricultural industry,” Mr Fitzgibbon said.TBA representatives have spent several days in Canberra this week meeting one-on-one with Ministers, Opposition representatives, key advisers and senior bureaucrats briefing them on key issues in the industry. Guest speakers Peter Moody and James Cummings spoke passionately about breeding. “Whenever you’re in at the ground level of something it’s satisfying and that’s what breeding involves,” said former trainer and leading breeder Peter Moody. Cummings, who is head trainer for Godolphin in Australia, added: “My grandfather Bart said that all breeders thought they had a champion until a trainer got involved! Luckily he was able to breed a horse called Saintly, which he also trained, to win a Cox Plate and Melbourne Cup. These members make up more than 60 per cent of individual breeders, who are responsible for about 90 per cent of thoroughbred production in Australia.